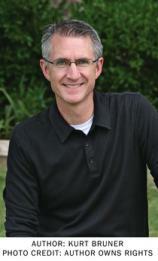 Kurt Bruner serves as Pastor of Spiritual Formation at Lake Pointe Church and on the adjunct faculty of Dallas Theological Seminary. A graduate of Talbot Seminary and former Vice President with Focus on the Family, Kurt led the teams creating films, magazines, books and radio drama. As President of HomePointe Inc., he helps local church leaders create an ongoing culture of intentional families. Kurt is the bestselling author of more than a dozen books. Kurt and his wife, Olivia, have four children and live in Rockwall, Texas.